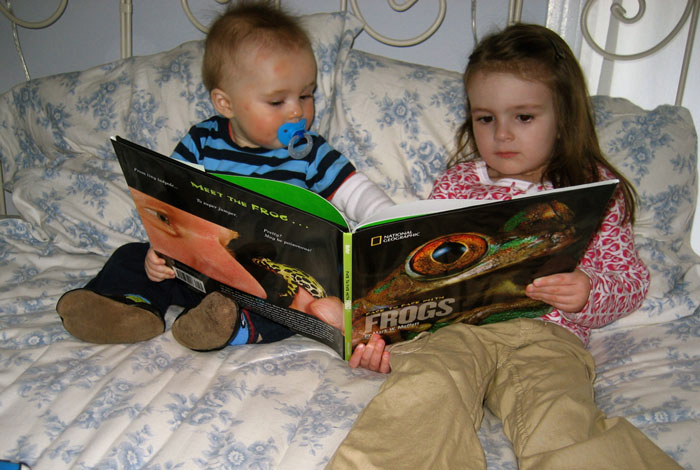 "This book is gorgeous. I wish I was in it!" 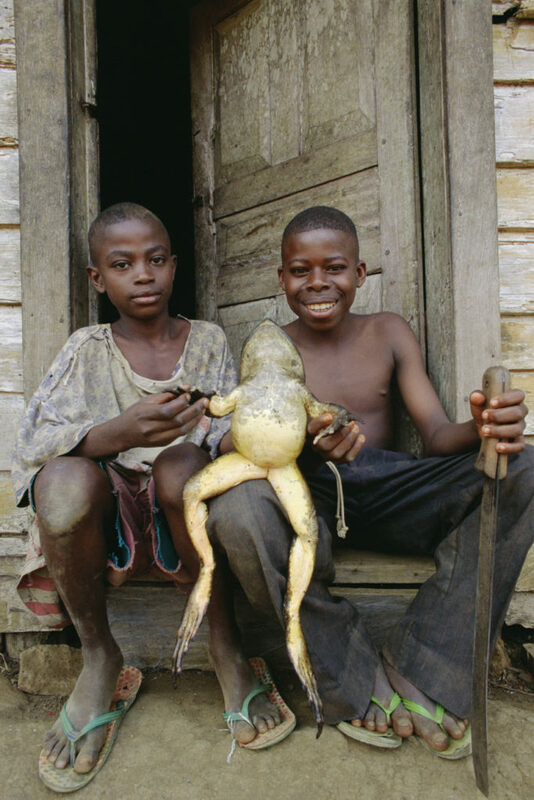 I have been on a lifetime quest for frogs. 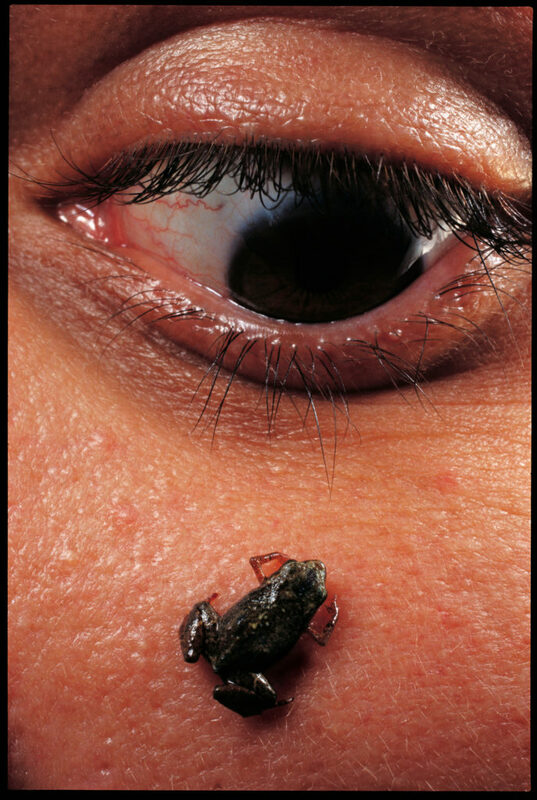 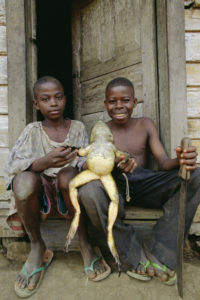 I’ve sought out the world’s largest frog, in Cameroon, West Africa; what may be the world’s smallest, in Brazil. 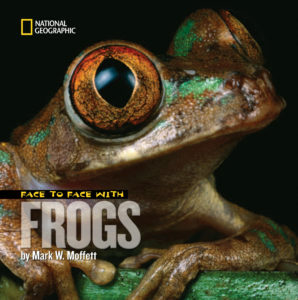 This book takes children on my journeys to find these and such other as frogs the only fruit-eating frog; a frog that dances; and in Columbia, the most deadly frog—one touch could kill you (though on a dare I kissed one on Conan Obrien). Face to Face with Frogs is a book for young adults that describes the author’s adventures looking for frogs, among them the largest and smallest frogs, a dancing frog, the only vegetarian frog, and a frog that can kill you if you touch it.